Gantry crane non movable under load mounted on 4 caster wheels and intended specifically for an indoor use. The PORTC is a mechanic-welded construction and can be entirely dismantled in 3 parts. manual shifting of the load only. 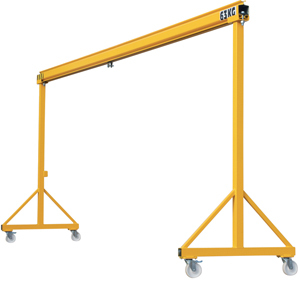 Built with a hollow section this gantry crane allows the installation of an electric or manual hoist.